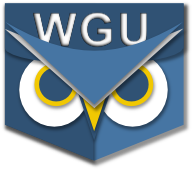 This release provides a fix (hopefully) for students that were having problems viewing the Course of Study (CoS) pages since WGU implemented changes to that system. Please upgrade and let us know how this works. Thanks!